The Rev. Miriam Méndez is a native New Yorker and Puerto Rican and enjoys a deep history with the American Baptist Churches. She has been shaped by her over 20 years of extensive and high energy leadership in pastoral ministry, region work, spiritual direction, mentoring, seminary teaching, and community leadership. Throughout her ministerial career, Rev. Méndez has served as an interim pastor, co-pastor, lead pastor, associate pastor and church planter. This has given her a rich and unique insight into the various roles and complexities of pastoral ministry. For fifteen years she served as adjunct faculty at George Fox Evangelical Seminary in Portland Oregon — where she taught in the areas of spiritual leadership, reconciliation, and prayer. Rev. Méndez is committed to leadership development and spiritual formation of young women and men, and is dedicated to empowering leaders and congregations to build a Christ-centered community devoted to serve locally, regionally and globally. This commitment led her to accept an invitation to participate in the 3rd Lausanne Younger Leaders Conference in Jarkarta, Indonesia, where she mentored young leaders from thirty different countries. Rev. 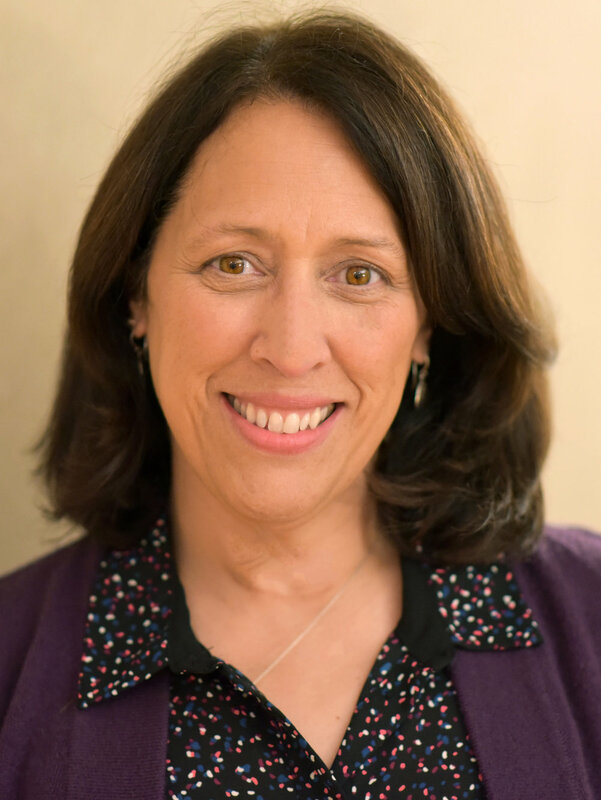 Miriam Méndez has served as the Associate Regional Pastor for the American Baptist Churches of New Jersey. As regional staff she has worked with local churches in mediation and conflict resolution, in education and resourcing their pastoral search committees, provided opportunities for leadership development, worked with declining churches to help them to re-imagine a new future, and mentored young pastors and leaders. In each of these situations she has been able to build a collegial relationship with the local church and leaders thereby strengthening relationships with the region. Prior to coming to New Jersey, she served as the Associate Executive Minister of the American Baptist Churches of the Central Pacific Coast in Oregon. She also served as the lead pastor of Esperanza Church, a new church plant and the first bilingual (Spanish/English) church in the ABC of the Central Pacific Coast. Rev. Méndez has served on various boards, associations and committees, including the American Baptist Home Mission Societies Board of Directors, the American Baptist Women in Ministry advisory team, the Interfaith Movement for Immigrant Justice Committee, the Board of Directors of Word Made Flesh—a non-profit organization called and committed to serve Jesus among the most vulnerable of the world’s poor, and the Pastoral Care and Consultation Committee at Legacy Emanuel Hospital. Additionally, she was a founder and member of the Board of Directors of the Oregon Latino Action Agenda, an organization that empowers Latinos with tools that equip them to step into civic leadership roles. Her educational training includes a Bachelor’s in Business Administration from National Louis University, Evanston, IL, Masters of Divinity and Spiritual Director certification from Portland Seminary, Portland, Oregon and a one year residency of Clinical Pastoral Education at Emmanuel Hospital in Portland, Oregon. She holds a certificate from the Unid@s for Oregon Leadership Program, a program unifying established and emerging Latino leaders for systems of change in Oregon. She is currently completing her D.Min. in Leadership and Global Perspectives from Portland Seminary. Her studies for this degree have taken her to London, South Africa and Hong Kong. Rev. Méndez holds dear to our American Baptist values pertaining to multi-cultural and multi-ethnic communities, and to inclusion, justice, education, mission and evangelism, and our high regard for local churches as the fundamental unit of mission. She values, respects and welcomes the theological diversity within the ABC family. Her experiences working in cross-cultural communities have prepared her to serve and lead in a manner that facilitates spaces of grace where encouragement, accountability, honesty, trust, and support, is given and received for the glory of God and the blessing of one another. Rev. Méndez is deeply grateful for her diverse experiences in the region, with her ministry networks and in her personal life. These all continue to teach her and keep her accountable to the work in God’s reign and to the call of the Good News of Jesus Christ.